Special enrollment. Just check below for more information. Don’t worry, you may still be able to get medical coverage! We are certified agents with the Federal Marketplace exchange and can provide assistance and help with your insurance needs on that exchange. 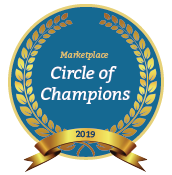 Also for the past three years we have been awarded the destination with the circle of champions for our efforts to provide health care coverage. Keep in mind that you won't pay more for your coverage if you use NorthWest Benefits Solutions agents or enroll without any assistance of an agent. We can help you understand the plans on the exchange for pricing, coverage quality and other important features of each plan, especially doctors and provider networks. Our online enrollment portal allows you to actually register with the Federal Marketplace exchange and to receive your premium tax credit if you qualify. If you don't qualify for any premium tax credit, we recommend that you apply on a direct basis to the insurance companies. Just visit our private individual health insurance link exchange.